Magic City Music Academy is trusted by many parents in Birmingham, AL and surrounding areas because of our affordable and convenient music lessons. 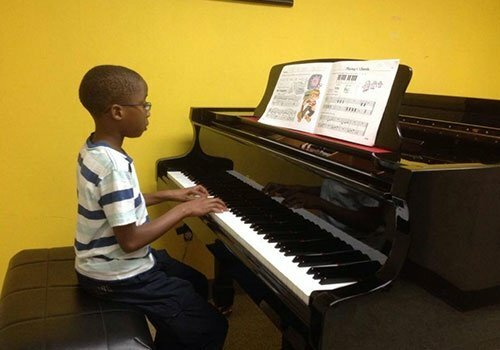 Our school offers various programs, including piano, drum set, and voice lessons, for children aged 2 to 17. Our music lessons are handled by Joe Jenkins, Sr., a multi-awarded music professional. We thank you for visiting our website and look forward to sharing our musical expertise with your children! Register your kids for our fun-filled music lessons. To learn more about our music programs, don’t hesitate to get in touch with us. Give us a call or send us an email. Our friendly staff will get back to you as soon as possible. Better yet, drop by our community music organization in Birmingham, AL to speak directly with Joe Jenkins, Sr. We look forward to seeing your kids join one of our music lessons! We cater to kids in Birmingham, AL and surrounding areas.